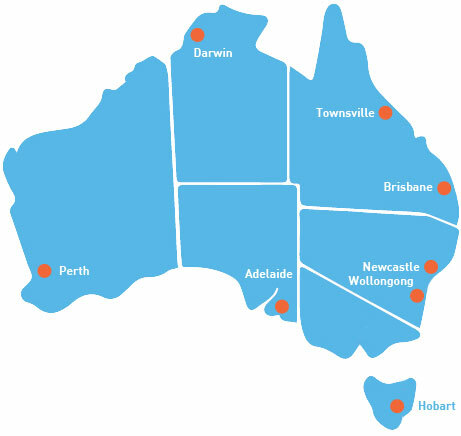 Here at Direct Mats we can ship your training mats Australia-wide to all states and territories. We generally use TNT Road Express to ship out mats but will check with other shipping companies to find you the best and cheapest freight cost that we can find. Although TNT is generally well priced and reliable especially for metropolitan areas, there are other freight companies that specialise in delivery to remote areas which off a better price. So no matter is whether you live in one of the capital cities, regional centres of remote areas in Australia with will endeavour to find you the best freight option for you interlocking jigsaw mats order. We also ship world-wide. We offer a direct shipping option from our factory in Qingdao China to any location in the world. We can arrange all shipping and customer clearance if you desire. So not matter where you are in Australia or the World we can delivery. Check out the links on this page for shipping options. We have a freight calculator in our shopping cart which will help you calculate shipping costs. Otherwise contact Direct Mats via email and phone and we will arrange a quote for you.